We're now a quarter of an inch tall, and 64 feet from the house. That's an equivalent of three-point-two miles. That's a long way. Even for a man of science. 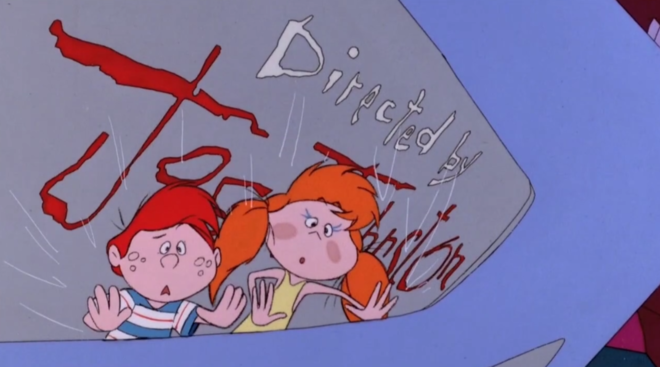 As one of three films released in 1989 to feature an animated title sequence, Honey, I Shrunk the Kids came out swinging with a rambunctious, topsy-turvy chase of an opening which signalled a minor turning point in the history of animation. 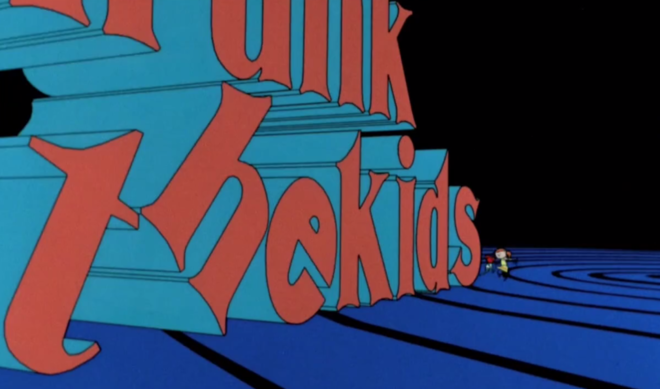 Beginning with the lowly tittle, the sequence features typography first as mise en scène and then as menace, with names toppling onto the titular kids and setting off a string of cleverly designed near-catastrophes. The sequence feels at once innovative and familiar, bearing stylistic resonance with earlier cartoons while departing from them in a manner both simple and bold. As the children dodge dustbusters, rubber stamps, and pencil sharpeners, the medium begins to undergo a distinct technological transformation. Three years earlier in 1986, CGI Pioneer Bill Kroyer had the idea of combining his two passions: hand-drawn animation and computer graphics. That same year, he and his wife Susan started Kroyer Films, Inc., where they developed custom software which would allow them to integrate digital, three-dimensional objects with traditional illustrations. The process involved building 3D models on a computer, then rendering them as line drawings that could be printed onto punched animation paper and combined with hand drawn sketches. Using this technique, Kroyer directed a demo film called Technological Threat (1988). Written by Brian Jennings (VFX supervisor on movies like Mimic and The Faculty), the film gleefully explores the mixing of media and the potential role computer graphics could play in on-screen storytelling. Still from Technological Threat, the 5-minute animated film made by Brian Jennings and Bill Kroyer in 1988. A resounding success, Technological Threat placed Kroyer Films in the international spotlight and earned the company an Academy Award nomination. 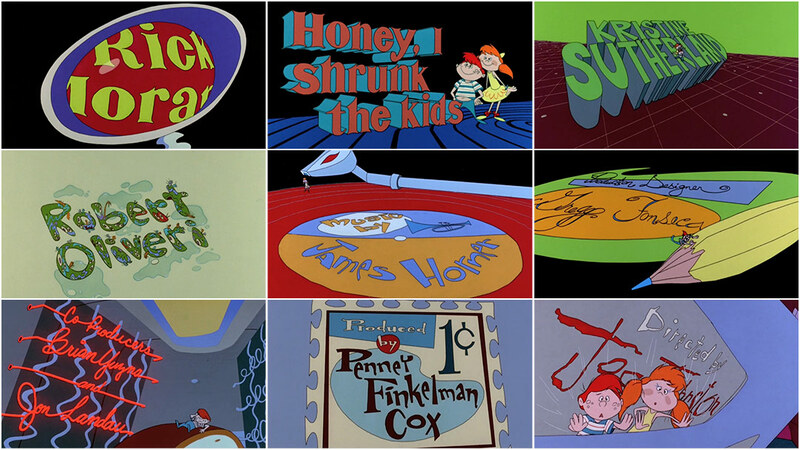 The firm prospered and subsequently produced a slew of title sequences using their revolutionary “combo” technique. Beginning with Honey, I Shrunk the Kids, they also created the opening sequences to the much lauded National Lampoon’s Christmas Vacation and Troop Beverly Hills. 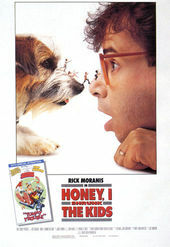 For Honey, I Shrunk the Kids, the animation team included Brian Jennings, who also handled writing duties, Mark M. Pompian (Stargate), Andrew Stanton (WALL-E, John Carter of Mars), and Eric Stefani (The Simpsons). Fun fact: Stefani, one of the main animators, is perhaps best known as the brother of Gwen Stefani and founder of ska band No Doubt. The sequence, however, was not without its controversies and so we turn our attention from the visual to the aural. The score, jazzy and frenetic, injects the sequence with a punchy energy, elevating the children's struggle to dizzying heights. Ostensibly composed by James Horner, the score actually incorporated Raymond Scott’s 1937 jazz piece “Powerhouse” without paying royalties or providing attribution, resulting in a lawsuit against Disney by Scott’s publishers. After a year of negotiation, Disney paid the Scott estate an undisclosed sum in an out-of-court settlement. Though the on-screen credits were not changed, the film’s cue sheets were revised, noting the use of Scott’s piece and ensuring that Scott’s heirs and publishers earn revenue when the movie airs on TV and elsewhere. 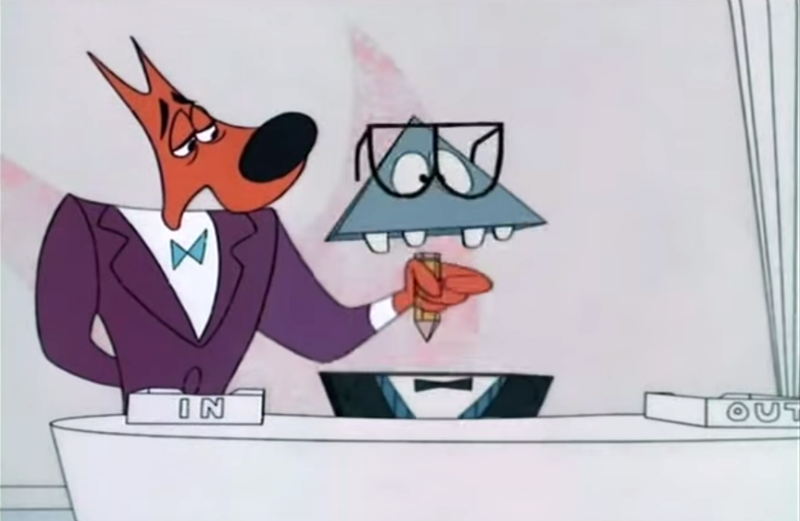 The sequence’s clever visuals regaled and inspired a generation of moviegoers and its innovations became a stepping stone for the use of computer-generated imagery in animation on a larger scale. It stands as a solid example of the film-before-the-film approach, with a fascinating story behind each aspect of its production and a legacy to match. Animated Title Sequence by: Kroyer Films, Inc.